Type of path: A path through the forest, over rocks, along the road following the coast. Route description: from cala Pedrosa to Tamariu, the path takes us through pine forests and over rocks, following the GR-92 to Tamariu. From here, we will follow the road and will take the coastal path at the end of c. de l’Illa Blanca. 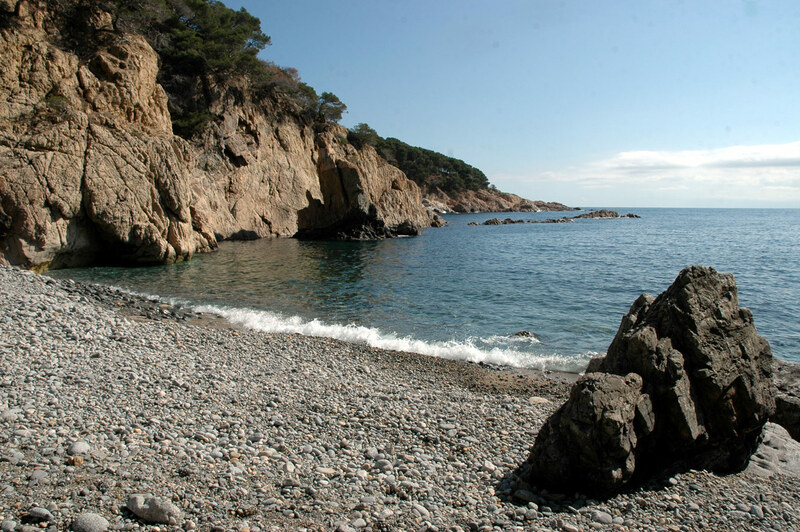 Points of interest: Pedrosa Cove, la Musclera, la Perica, Tamariu, Aigua Xelida, sa Roncadora, Marquesa Cove. Once at Cala Pedrosa, following the steps that leave the beach and climb northwards, without leaving the GR-92, we come to la Musclera and la Perica, where there are often people fishing with rods. We will soon reach Tamariu. From here it is not possible to continue northbound around the coast. One option we have to reach the Aigua Xelida coves is to drive there or walk around the section of estates and take the coastal path once more. By road, we will go down carrer dels Pescadors, turn down carrer d’Aigua Blava and follow avinguda de Vicenç Bou. Here there is a roundabout; we continue up carrer del Montgrí and carrer de l’Avi Xaixu to the end, where we take some steps that lead to en Gotes great beach (Aigua Xelida). If we go to the left, we have the chance to pick up the coastal path northbound to get to Sa Roncadora, although this is not very recommendable: the path has no signs and there are a lot of prickles. But if we go there anyway, we will find a crack in the rock that has one entrance to the sea and an exit to firm land, forming a bridge. On stormy days from the east, you can hear the sea water crashing against the rocks and spitting some metres into the air splashing the pine trees around it. Further north we come to Marquesa Cove (with spectacular views). Some years ago it was possible to get here by land down a steep track, but today the rains have turned it into a dangerous slope. 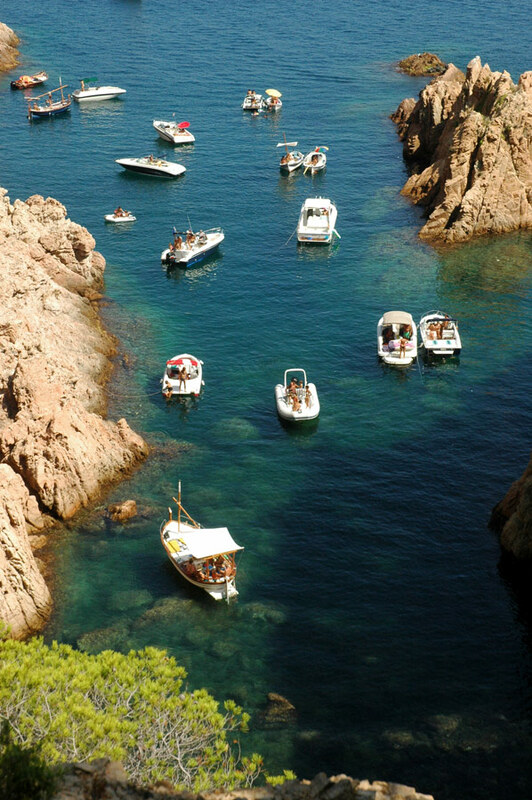 Today everyone gets there by sea in small boats. Walking from Tamariu, we can go down carrer dels Pescadors, go up some steps and follow carrer del Port de la Malaespina, crossing l’Illa Negra until we reach carrer de l’Illa Blanca. Here we will take the coastal path to Aigua Xelida. 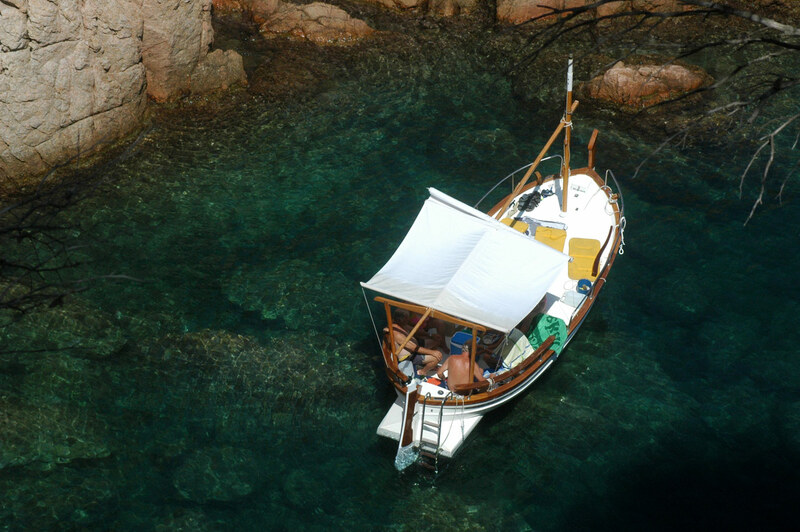 If we follow the coast by sea, we will find the Rec dels Arbres and the coves of en Gispert, places of great beauty which we particularly recommend. It is possible to get there on organised trips by motorboat or canoe. Recommendations: follow the white and red markings of the GR-92, do not walk the path in eastern stormy weather, wear comfortable footwear and take water with you.